I am often asked whether coconut oil is good for the growth of the beard and the answer to that question is definitely yes. So in this post, I will talk about the benefits of the coconut oil for beard and the way to get the most out of this product. It is not a coincidence that you will find coconut oil in both beard balms and beard oils. It is mainly due to its health and odor benefits and it keeps the beard and the skin of the face well hydrated and soft. Which Coconut Oil is Better For Your Beard, Virgin or Fractionated? How is Coconut Oil processed? Coconut oil is the oil that is extracted from the flesh or kernel of the coconuts that grow on the coconut palms. If you are looking for coconut oil to use in cooking, the best choice and the one that holds coconut oil´s nutritional value intact is virgin unrefined coconut oil. This oil looks almost like butter and is solid at room temperature. It melts when it is heated at 76 degrees Fahrenheit. In addition, it is rich in saturated fats and should be consumed in very little amounts or avoided overall. A version of coconut oil which is more popular with people who want to use coconut oil for their skin and hair is Fractionated coconut oil, a thinnish gel-like coconut oil. This form of oil holds some of the nutritional value of coconut oil and it is easier to use in a wide in DIY recipes for skin and hair as well as aromatherapy massage. 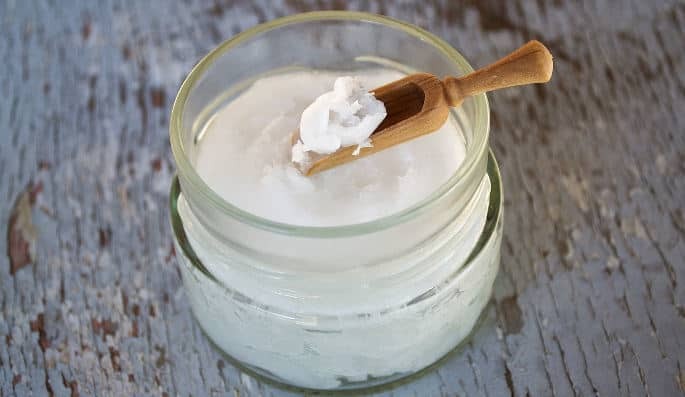 Coconut oil is great to use as a carrier oil to dilute essential oils and due to its antifungal and antibacterial properties, it is widely used in skin care recipes and treatments for acne. Of course, it is a great moisturizer as well. It adds moisture to dry hair and gives life to dry rough and unruly beard, making it soft and dealing with tangles. Coconut oil is an incredible moisturizer. It is anti-inflammatory and has antioxidant as well as anti-bacterial properties. 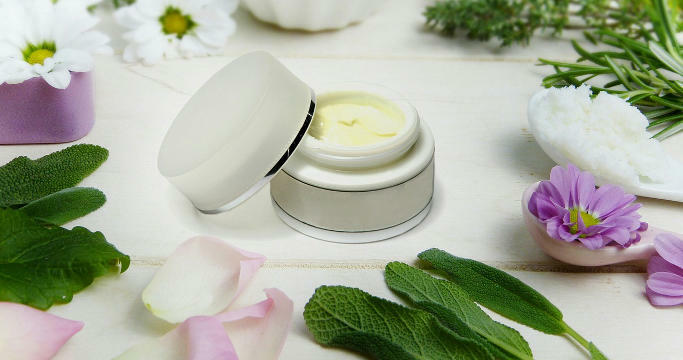 You can use it to moisturize cracked skin, treat razor burns, eczema and psoriasis. The beard dandruff is a common problem for a lot of people and coconut oil is the perfect solution to eliminate any dandruff. In addition to all this, it has lauric acid that allows it to penetrate to the roots and strengthen hair growth. Coconut oil is considered a great carrier oil. It is an oil that does not give a strong and striking smell but rather a slightly subtle aroma and to achieve greater effect it must be mixed with a few drops of essential oil such as eucalyptus or cedar depending on your taste. I strongly recommend regular use of coconut oil for a healthy, well-groomed beard which will grow faster and stronger. The beard will have a good shine and a pleasant smell. There are endless benefits of coconut oil for hair and skin. Let’s focus more on the benefits for the beard growth and beard health. Do you find that the hair of your beard breaks easily, not to worry? It is one of the most common problems. The reason is the lack of flexibility of the facial hair. The coconut oil is ideal to prevent hair from breaking or falling and to make your beard look thicker and healthier. In addition, it helps to strengthen it since the high levels of lauric acid penetrate to the stem of the hair making it stronger and healthier. As you can gather so far, coconut oil is very beneficial not only to have a healthy beard and maintain in good shape but also for healthy skin. The health of the skin will determine the quality and appearance of your beard. Coconut oil is perfect to keep the skin fresh and hydrated, thanks to its emollient properties. In addition, you will feel your beard much softer. It is ideal to splash a little coconut oil after shaving or trimming in order to avoid inflammation or redness, soothe the itchy beard syndrome and prevent any infection. It also serves to reduce skin irritation from shaving. So, if your skin is sensitive, apply before and after shaving. It is particularly good to use after shaving thanks to its healing properties, and regeneration of dead skin. Coconut oil contains vitamins E and K whose main benefit is to repair the dead skin and reduce the scales that are the main cause of dandruff. In addition, the intake of 2 to 4 tablespoons a day can also improve the appearance of your skin. Having a beard just for the sake of having it without any kind of care is not worthwhile. The coconut oil apart from giving shine to the hair and tame it for easy handling gives your beard a healthy look and makes it look thicker and more populated. If you incorporate the coconut oil in your meals, you are adding a number of hormones and hormone-stimulating substances. In fact, it has been scientifically proven that coconut oil helps to increase the levels of testosterone and ketones, which help stimulate the thyroid gland and increase metabolic function, rapidly increasing the growth of facial hair. The high amounts of lauric acid in coconut oil works as an antibacterial agent making it excellent for preventing infections. In fact, some studies show that it helps to prevent dermatitis and even works as a natural antibiotic against acne and other skin diseases. Coconut oil can come as virgin coconut oil or fractionated coconut oil. Here I will show you its distinctions and characteristics below. Basically it is oil extracted from the coconut without going through an extreme manipulation, that is to say, only the natural oil was extracted. This process conserves all its healing and regenerative properties including the coconut odor, and its main characteristic is that it solidifies looking like coconut butter. Unlike the virgin, it goes through a more complex extraction process in order to convert it to the liquid state. A process in which it loses some of its properties including its characteristic odor, and thus can be used as a carrier oil and mix perfectly with other oils such as rosemary or green tea. Virgin coconut oil is the ideal choice for the beard. Simply because it does not contain any additives which can irritate your skin making the beard dry and rough. Additionally, you should try to only use organic, virgin and unrefined coconut oil. Cold pressing is a process utilized to extract oil from the coconut and does not use heat. It is also a very expensive but this process is the only way which can produce the best quality Coconut Oil. In this process, all the nutrients are retained in the oil. 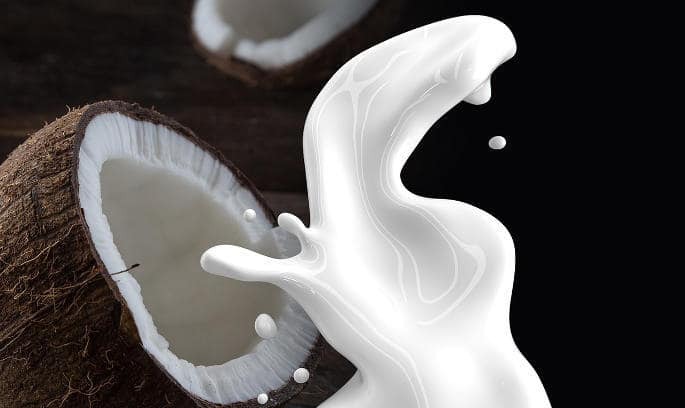 The coconut oil that is centrifuge extracted is made from freshly pressed coconut milk. The oil will then be segregated out of the milk making use of centrifugal force without heat. This method enables to retain the majority of the anti-oxidants as well as anti-bacterial content. It also makes sure that the oil retains far more vitamin E as well as fatty acids compared to any other process. Expeller pressing process is used for extracting oil out of coconuts by making use of high pressure as well as heat. Because this method is heat-based, it alters the chemical structure of the fatty acids located in Coconut Oil. This strips away almost all of the nutritional benefits and practically all the things which makes the Coconut Oil so good. If you want to use coconut oil for your beard, the steps you need to follow are fairly simple, and if you have already used beard oil you will not notice any difference in technique. Before you start, make sure your hands are dry and clean. It would be a good idea to have a clean beard that is already dried. If you keep the coconut oil in a cool environment, you should expect it to be in good condition and ready to use. All you have to do is scrape a small quantity with your finger. Next, you should apply it on your beard by rubbing your hands together for a few seconds while heating the oil so that it melts in your hands. Then when you see that the oil has melted on your hands, you can start applying it on your beard, starting from the tips of your facial hair and working your way to the roots. Be sure to massage the roots of your beard with coconut oil and then apply it across your entire face. You can apply the coconut oil whenever you want since it is a 100% natural product and great for your beard and skin. I would particularly recommend that you apply it at night before going to sleep or when you wake up in the morning after showering. In summary, coconut oil has multiple health benefits. It helps to repair damaged facial hair, acts against bacterial problems. It is an excellent moisturizer for the skin under your beard. In addition, it prevents a series of beard problems before they become unpleasant, such as protein loss and offers a healthy and vibrant shine to the hairs of your beard. It is very important that you do a patch test before including coconut oil in your daily beard care routine. You should apply a little oil in an area of your skin that cannot be seen, wait a while and clean it. If you do not observe any allergic reaction, you can start using it without problems.